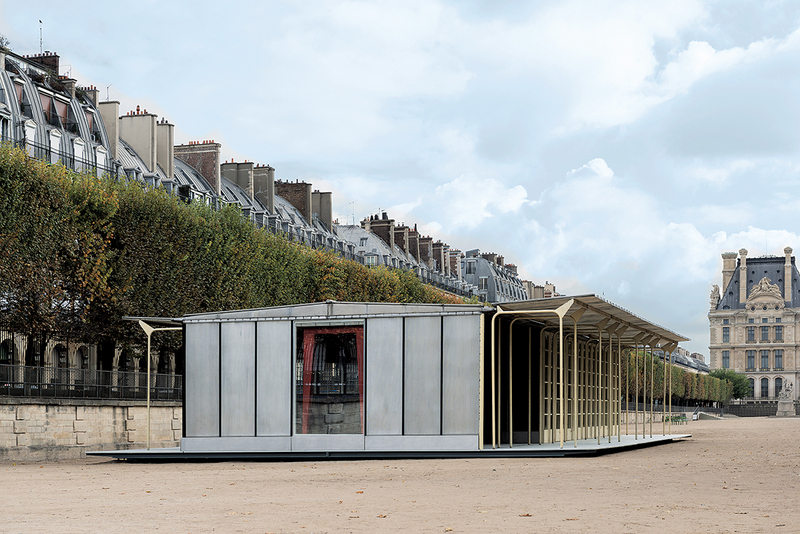 After making temporary and demountable houses for war victims in Lorraine at the end of World War II, the Ateliers Jean Prouvé committed to the French government’s reconstruction program, involving not only housing, but also infrastructure, notably schools. 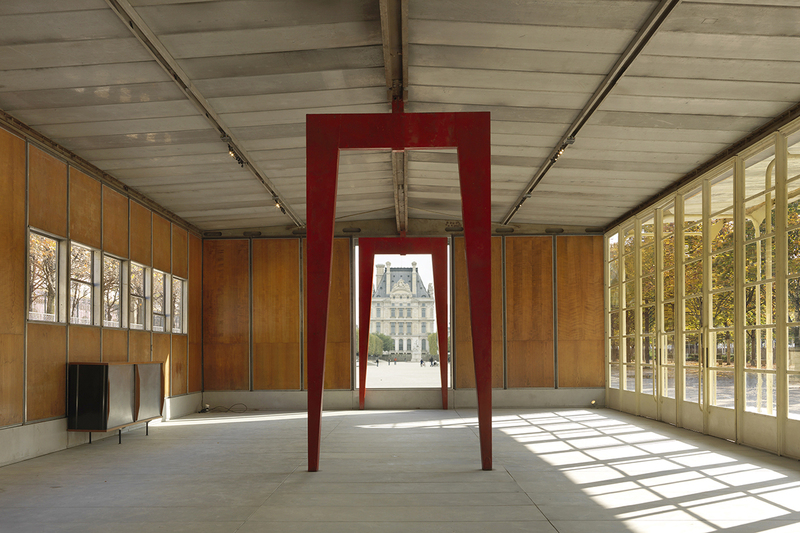 Prouvé saw prefabrication as the optimal technical and economic solution to the postwar situation. He perfected a system he had patented in 1939 and then improved during the War, featuring a metal skeleton using axial portal frames, combined with various modular facade panels. 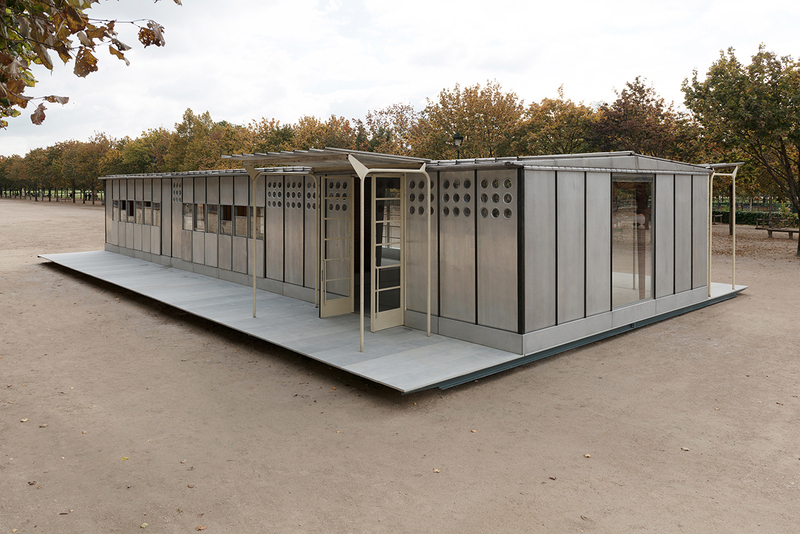 This construction principle was Prouvé’s response to the Ministry of Education’s 1949 competition for “a mass-producible one-room rural school with teacher accommodations”. The specifications called for buildings that could be easily mass-produced with quick and easy assembly on any kind of site. 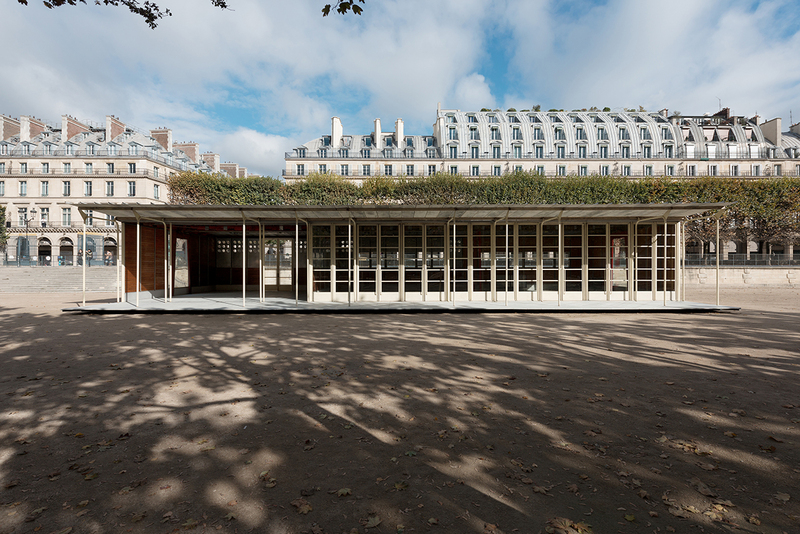 The Ateliers Jean Prouvé was among the winners of the competition and in May 1950 was given an order for two prototype units: one for the small municipality of Bouqueval, near Paris, and the other requested by parliamentarian Raymond Mondon for the village of Vantoux, near Metz. With its big glass doors, extensive roofed play area and covered access balcony that also served as a sunshade, the 24×8 meter classroom building had the look of an open-air school. The grid created by the pressed steel portal frames provided free-flowing volumes and rational arrangement of the open play area, classroom, workshop/dining room, toilet facilities, and cloakroom. The Vantoux School and its furnishings have been classified as Historical Monuments since 2001. 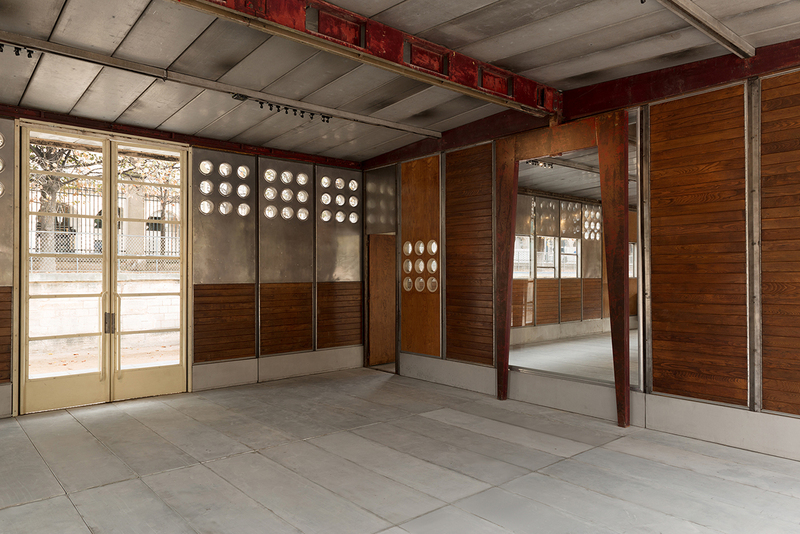 Galerie Patrick Seguin asked Ateliers Jean Nouvel/HW Architecture to restore the Bouqueval School’s demountable quality. 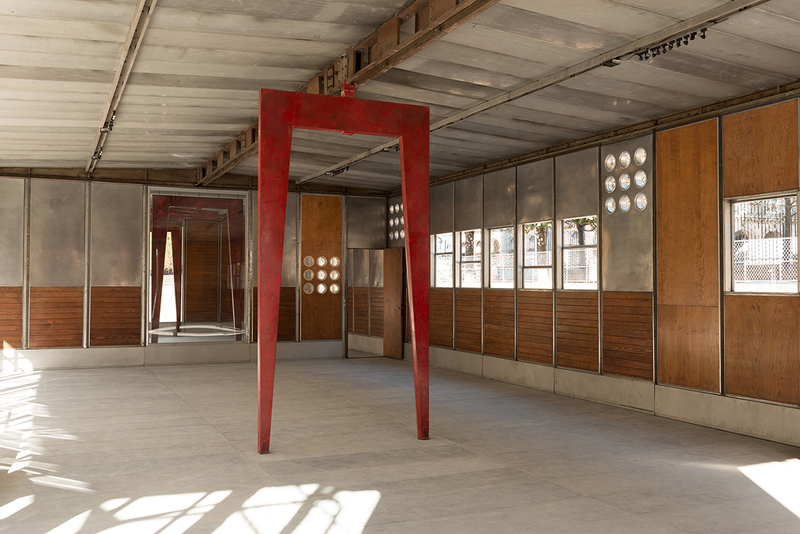 This adaptation, done in harmony with the existing materials, allows for full appreciation of Jean Prouvé’s structural system. What is the result of 9 + 9 ?